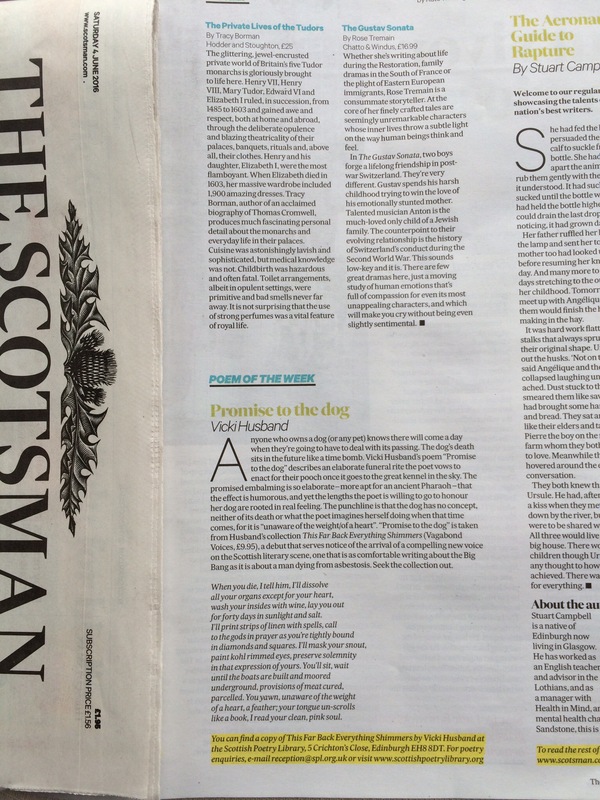 I’ve a sonnet in The Scotsman today, it’s a love poem to a dog, It contains details of animal mummification which, coincidentally, you can see examples of in an exhibition at The Kelvingrove art gallery at the moment, ‘Gifts for the Gods’. It’s from my new collection (out now!) This Far Back Everything Shimmers, details of launch to follow, (30th June).